Ence Homes is a local home builder that provides prompt, courteous customer-service and build quality, innovative, and energy-efficient homes. With Ence Homes you can build a custom home or build one of our wonderfully designed floor plans on your lot or in one of our ten communities. With Ence Homes you may also trust that your new home will be designed the way you want because you will design it with our design center. You get to choose the tile, countertops, paint color, stucco color, stone, and anything else that you desire to be apart of your new home. Desert Sky Homes LLC is the premiere custom design home builder in St. George, Utah. You owe it to yourself to visit with Desert Sky before building your dream home. The friendly, open, and honest atmosphere, along with their attention to detail, is what sets Desert Sky Builders apart. Innovative home designs to last a life time, lasting durability with superior materials and suppliers, and above all “integrity”. We have models open now! So feel free to contact us, youʼll be glad you did! Solaris Homes has the best builders and the best materials, so you can have your dream home. It is important for us to build homes that match the Southern Utah lifestyle. Tom Braun has over 21 years experience building quality homes. Tom's approach to building has always been hands-on. He enjoys incorporating his experience and vision into each and every project. With a background in carpentry, his instinctive attention to detail is recognizable in every home he builds. Homeowners and subcontractors are confident in working with Braun Construction based on a reputation of honesty and reliability. Whether you are building a starter or custom home, Tom does his very best to make sure his customers get the professional service and personal care they deserve. Radiant Blue Homes is a custom home builder and general contractor that serves all of southern Utah. We specialize in building thermal mass, high energy efficient homes. We can build you the most energy efficient, sustainable living home available today. We also build off-grid homes for our clients as well. Our homes look just like any other homes in the neighborhood but without the high energy costs. We are ready to build you a custom home that keeps more of your hard earned money in your pocket. From the beginning stages of neighborhood development to every finished home, we provide you with functionality and comfort. In fact, every one of our homes is designed with everyday living in mind. 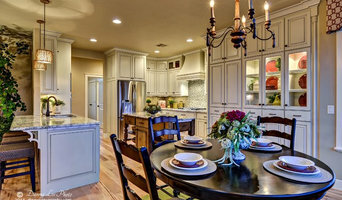 S&S has been building its reputation in the St. George community as a quality custom home builder for more than 30 years. S&S doesn't just build homes. We build homes for life. We can build on your lot or one of ours. Over 20 years of experience building custom homes in beautiful Utah. I launched Big Rock Homes several years ago to showcase our custom home building experience and best customer service. Southern Utah Development is currently designing and building new home subdivisions in St George Utah. We build with high quality local builders and tradesman to build your new home and are experts at getting your home built even if you live far away. What’s the most important step in building a new house from the ground up? Many people would say it’s choosing the right Toquerville home builder. 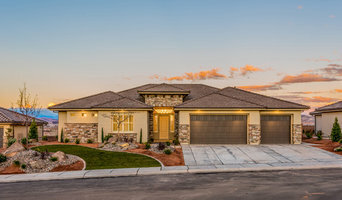 Constructing a new house is a huge and multifaceted undertaking, so it’s important to find custom home builders in Toquerville, UT you can trust to bring your vision to life, as well as keep the process under control from start to finish. Although a construction job is never without surprises and challenges, a Toquerville, UT home builder who’s a good fit for your specific project will make these far easier to handle. For Toquerville residential home builders who also act as developers, the job starts well before the first nail is driven. They perform local market research to determine whether the prospective homesites make sense in the Toquerville, UT market, as well as survey the land on which the house will be built to make sure it is suitable for construction. Custom builders also obtain the necessary permits. A good custom home builder in Toquerville, UT has skills that go far beyond construction — he or she must supervise subcontractors and artisans; keep tabs on local zoning regulations, building codes and other legalities; inspect work for problems along the way; and perform dozens of other roles that are essential in building a quality house. Here are some related professionals and vendors to complement the work of home builders: Interior Designers & Decorators, Landscape Architects & Landscape Designers, Architects & Building Designers, Kitchen & Bath Designers, Specialty Contractors. House builders are responsible for ensuring that the home-building project sticks as closely as possible to the specified timetable, particularly in the event of change orders. 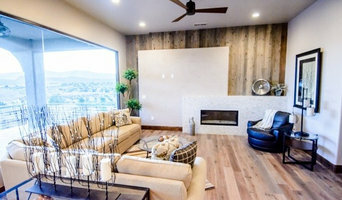 Custom and luxury home builders in Toquerville, UT also need interpersonal skills to deal with clients of all types, soothe frazzled nerves, negotiate conflicts and resolve problems. Find custom home builders in Toquerville, UT on Houzz. 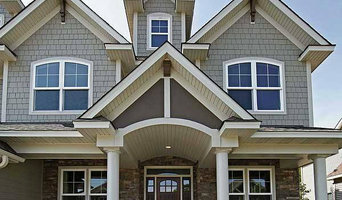 Narrow your search in the Professionals section of the website to Toquerville, UT home builders. You can also look through Toquerville, UT photos to find a house you like, then contact the builder who worked on it.